Plague is an infection caused by the bacterium Yersinia pestis. The bacteria are found mainly in rats and in the fleas that feed on them. People and other animals can get plague from rat or flea bites. In the past, plague destroyed entire civilizations. Today plague is uncommon, due to better living conditions and antibiotics. Bubonic plague causes the tonsils, adenoids, spleen, and thymus to become inflamed. Symptoms include fever, aches, chills, and tender lymph glands. In septicemic plague, bacteria multiply in the blood. It causes fever, chills, shock, and bleeding under the skin or other organs. Pneumonic plague is the most serious form. 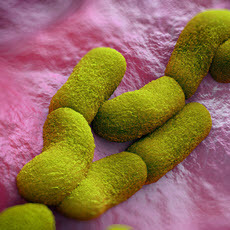 Bacteria enter the lungs and cause pneumonia. People with the infection can spread this form to others. This type could be a bioterror agent. Lab tests can diagnose plague. Treatment is a strong antibiotic. There is no vaccine. Article: Zoonotic Semiotics: Plague Narratives and Vanishing Signs in Madagascar.